BlogHome News TYM Goes to the Giant’s Game! 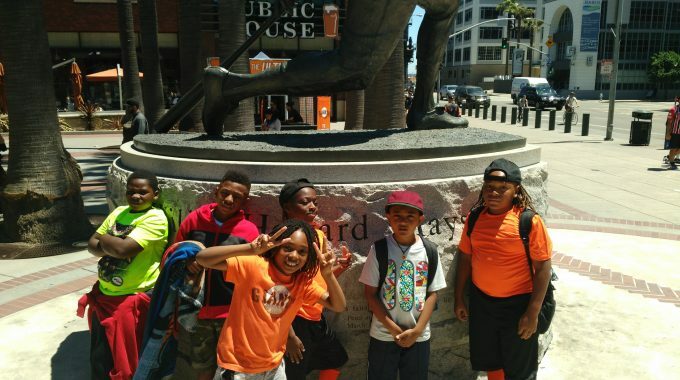 We had the privilege of taking Jaden, Cameron, Kamauri, Robert, Jedidiah, Karunyun and camp leader Declan to the SF Giants game against the Padres. We had such a great time! So many new memories for all. Our original plan was to have lunch at the park, but when we learned that there was a traffic jam in Berkeley, we decided to grab some Wendy’s on the way. We arrived in the second inning and within the first 15 minutes we got to see the Giants score 3 runs to tie it up. Very fun action to kick off our time there. The giveaway for the day was a Charlie Brown bobble head. Since we arrived a bit later, we weren’t able to grab one for the kids. However, a pair of women sitting in front of us learned from leader Declan that we were a group of boys from a camp for urban kids. The next thing you know, a stack of bobble heads show up and they are handing them out. Yay! As you can imagine snack time was a hit — ice cream, popcorn, and cotton candy were the popular items of choice. The whole drive back to Richmond they talked about different parts of the game and experiences that they liked. 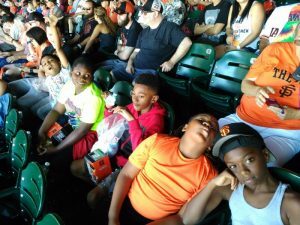 For some of the boys, this was their first time at the baseball game. Luckily, they came with the right person. Camp leader Declan plays multiple positions on his Miramonte High School team, so they asked dozens of questions and learned a whole bunch about the game. Robert sat next to me and LOVED how cool it was that when he yelled out, “LET’S GO GIANTS!” that a dozen or so fans in our section would clap, clap, clap-clap-clap. It was like he had superpowers! This is what TYM is all about–making an impact in kids’ lives. One of the ways we put our mission into action is to “create new memories to replace the old (difficult) memories”. Boy oh boy, did this day help us make that happen! 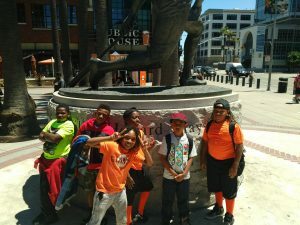 With many of the students dealing with the loss of loved ones, family situations and other circumstances, its good to allow them to take a break from it all and enjoy being a kid at a baseball game. We praise God from whom all blessings flow! Including a day at the Giants game.